I loved everything about this movie: the script, the acting, the pacing, the colors, the computer graphics, the scenery, the humor, the battle scenes, the fantastical creatures (one even looks like Dobby), Angelina Jolie (as Maleficent), Elle Fanning (as Aurora is the best actor of the Fanning bunch), and so much more. 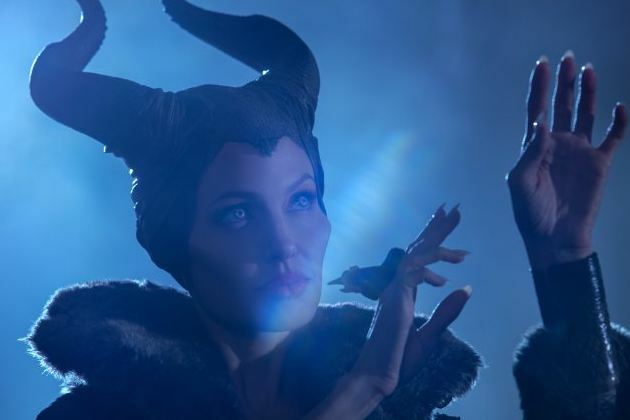 In short…..“Maleficent” is the perfect movie for the entire family (be careful of the battle scenes as they can be intense). We get to meet Maleficent as a young girl when she meets her first human. These two beings become friends across the divide of nations, and as many times happens, love blossoms. But as they grow older, Maleficent becomes the protector of her land, while Stefan (Sharlto Copley) strives to the highest position in his land (sometimes ruthlessly). He comes one night to warn Maleficent that the humans want to kill her. Instead, he drugs her and takes her wings as proof for his King that he has eliminated the hated fairy. He is rewarded by being named King of the humans when the King dies. In a fit of anger, Maleficent curses his first born child, Aurora, to “sleep a death-like sleep forever”. But she adds an out clause…that “true loves kiss” can wake her from her slumber. Knowing full-well that “true loves kiss” does not exist. As Aurora is growing up, Maleficent is always watching Aurora (and sometimes toying with the fairies who are raising her). She is around so much, that Aurora considers her her “fairy-god mother” and, surprisingly, Maleficent grows fond of Aurora. But, try as she might, she cannot undo the curse. Maleficent has a heart. And is not as scary as the marketing of the movie makes her out to be.